TODAY’S LESSON: Those who achieve their dreams don’t understand the concept of “too much” enthusiasm and drive. 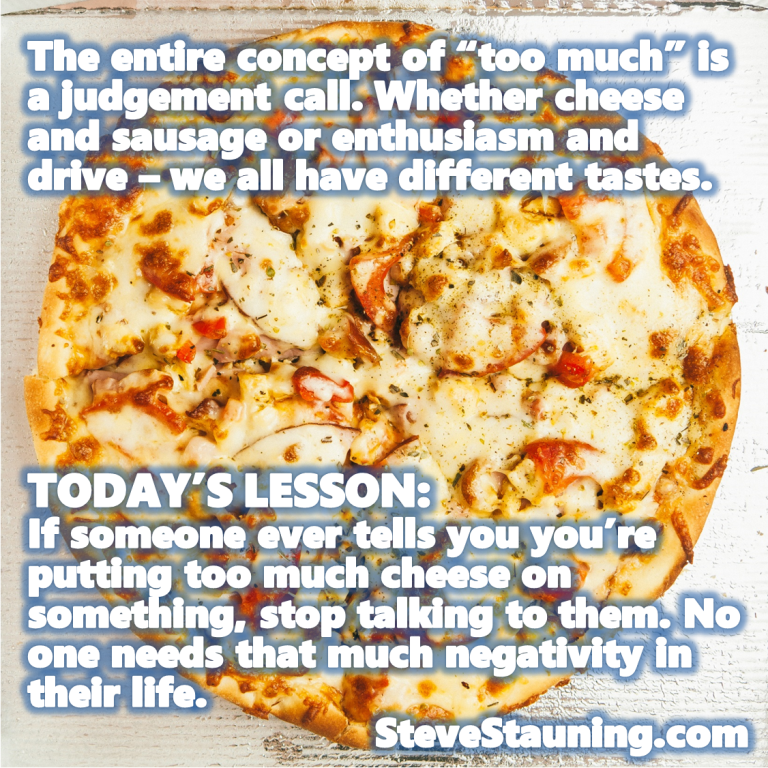 The entire concept of “too much” is a judgement call. Whether cheese and sausage or enthusiasm and drive – we all have different tastes. If someone ever tells you you’re putting too much cheese on something, stop talking to them. No one needs that much negativity in their life.